One of the most crucial questions during the holidays season is “what to do with all those Thanksgiving leftovers?” I had been pondering this myself for a few weeks and thought I would make some sort of waffle sandwich. 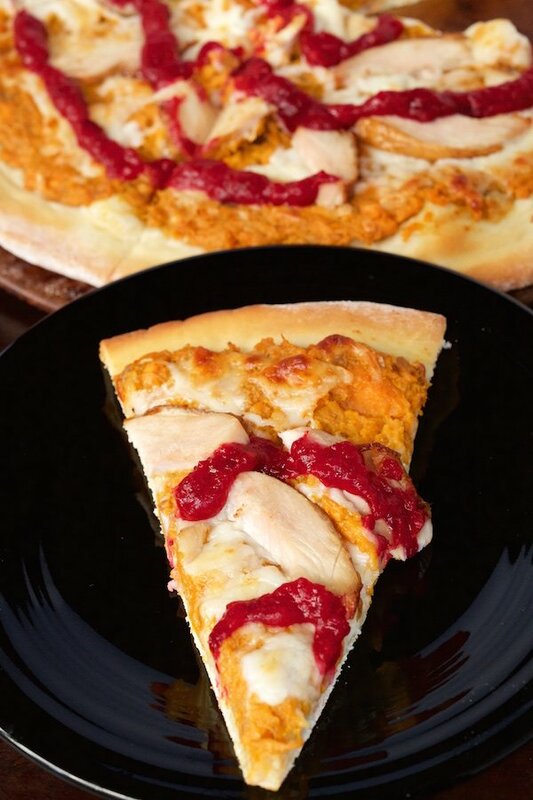 Then, late one night, the kind of great idea that you only get after drinking a bottle of wine came to me: “Thanksgiving leftovers pizza”! We take pizza pretty seriously at our house. We have a standing pizza night and usually get something from our neighborhood pizzeria, Milo & Olive. They do some amazing seasonal pizzas (right now they have butternut squash & caramelized onions, swoon! ), and they inspired me to run with this crazy idea. Because I was using sweet potatoes for the base, I knew I would have to be careful about the cheese. It would have to be something that would blend well…nothing too savory. I chose to go with one of my favorite cheeses of all time, The Drunken Goat. The Drunken Goat is a semi-soft goat cheese that is cured in red wine. Slightly tangy, creamy…..I refuse to believe that any other cheese could bring the ingredients of this pizza together in such beautiful harmony! 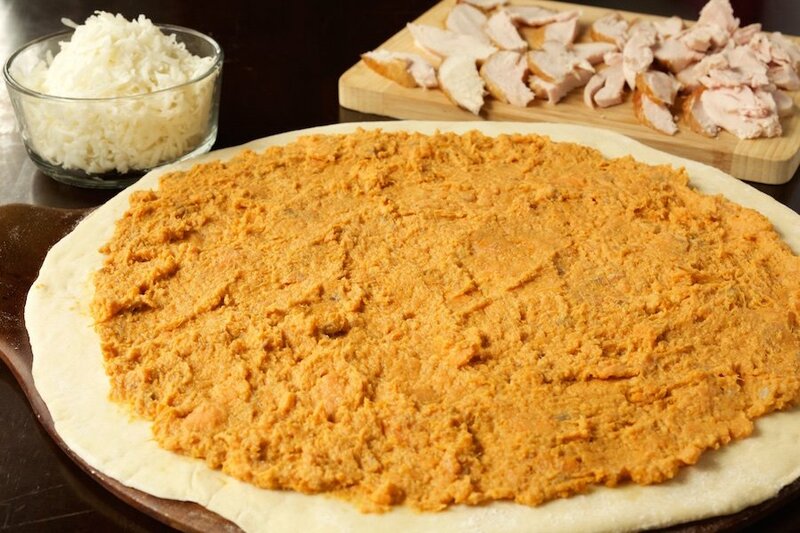 Using a spatula, spread a thing layer of sweet potatoes evenly across the top of the dough. Leave a little room around the edges for crust to form. Top with shredded Drunken Goat cheese. Evenly distributed sliced turkey across the top. Place in oven and bake until cheese is melted and crust is a golden brown, 10-15 minutes. 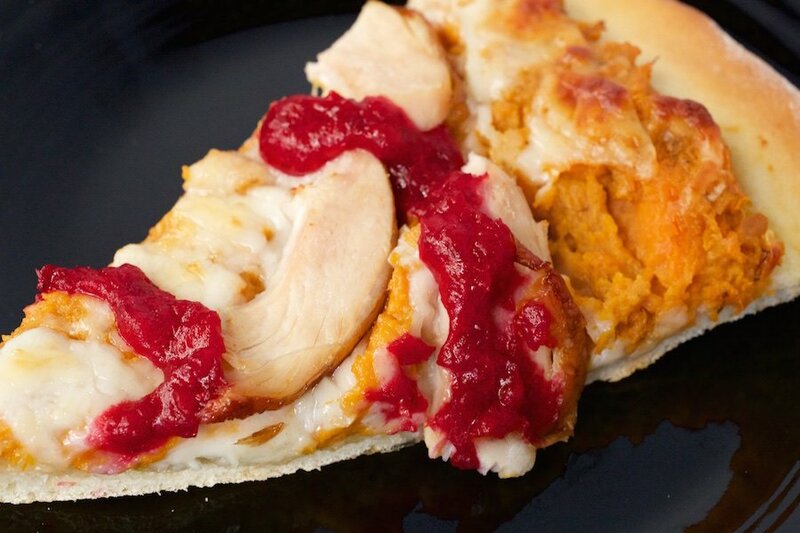 While pizza is cooking, take the Holiday Cranberry Compote and purée in a blender or food processor. Place in a ziploc bag. When pizza is ready, remove from oven. 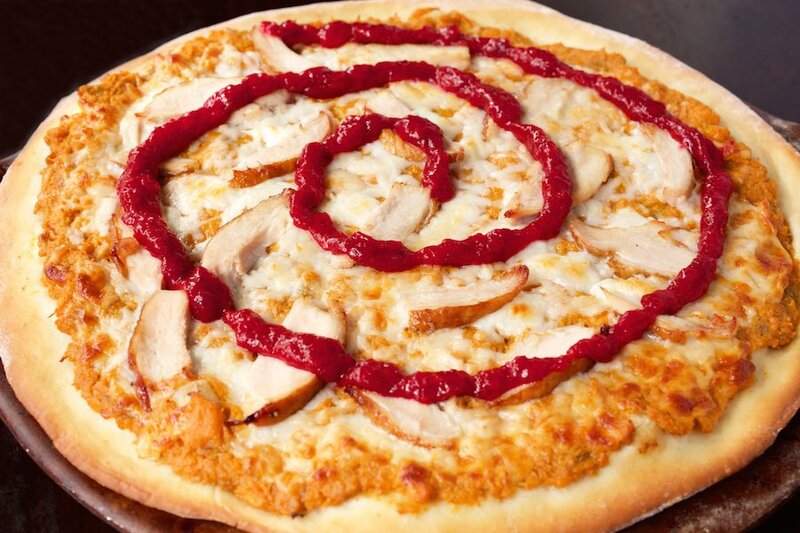 Cut the tip of the end of the ziploc bag and squeeze the cranberry sauce into any design desired on the top of the pizza. 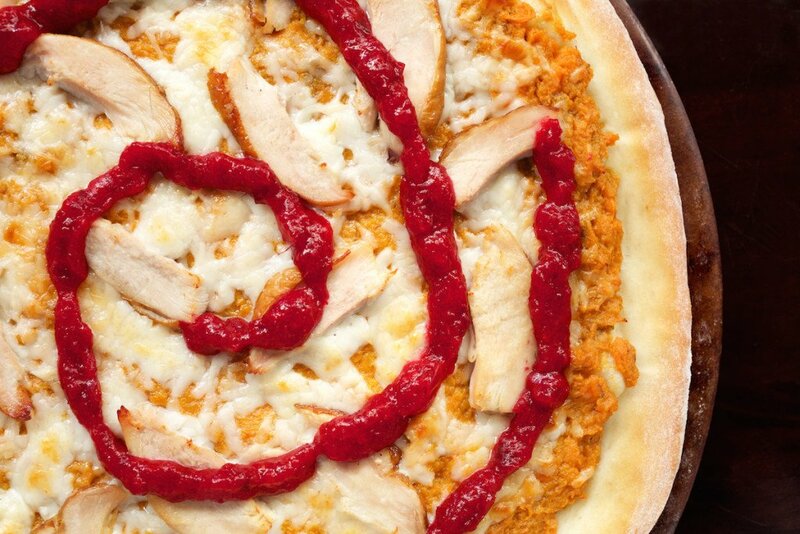 Cut and serve immediately. Or put in an airtight container and store in the fridge, leftover leftover pizza!